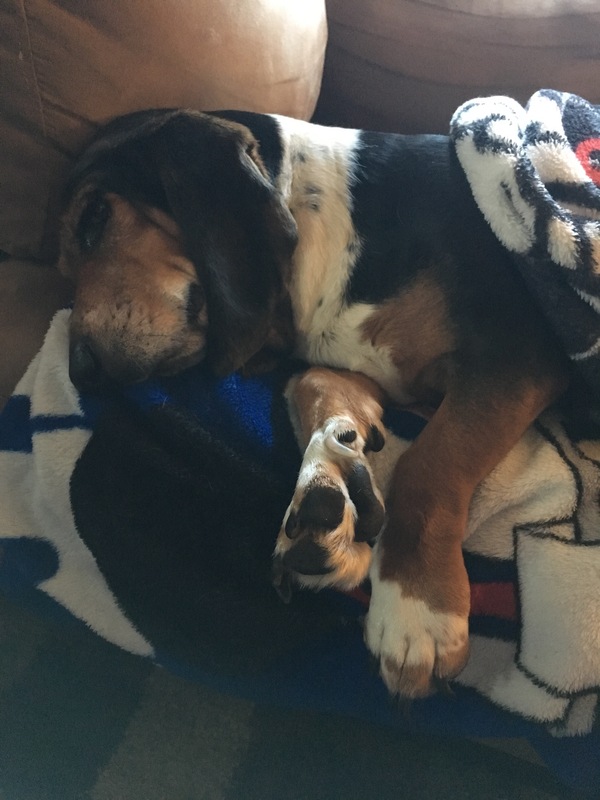 Basset hibernation | Live Laugh Bark(at everything)! So it’s that time of year again when the great Basset Hound hibernation rituals begin, normally when the temperature dips anywhere below 50!! One such ritual involves looking extra pathetic and whimpering ever so slightly until mom gives up her blanket to cover you up, normally done just after a chilly potty trip. Ritual two occurs at bedtime and involves refusal to lay down until mom gets out your blankets, then you borrow underneath for maximum warmth during the night. Both rituals are equally important and when well executed cements your spoiled rotten status. Side note from mom: both rituals also increase normal basset stubbornness when getting up is necessary. 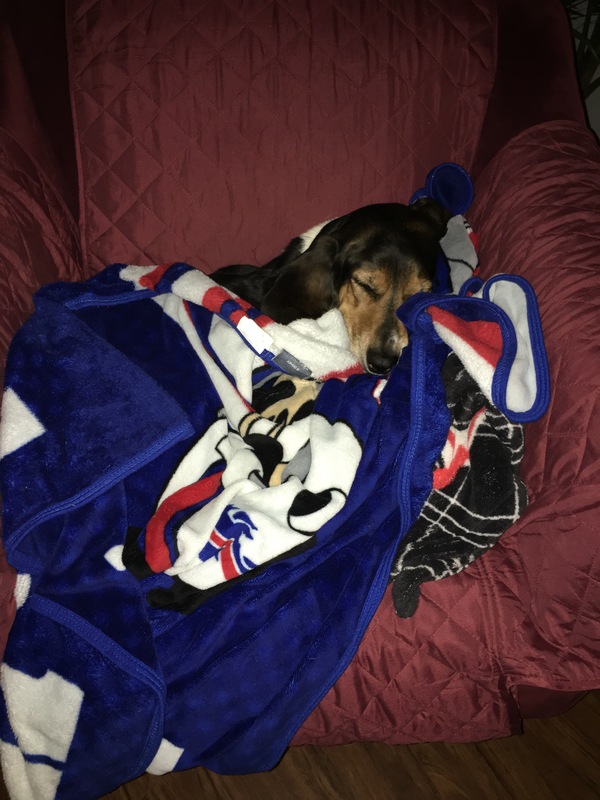 My basset has started the same thing … it took a while but she pulled one of her blankets from the bedroom out to the living room floor. Her threshold is 70° though LOL. Great photos. LOL….at least we know we’re not alone! !